Two days in Amsterdam was enough to make me completely fall in love. The city, its sights, its walks along the canals to discover the famous crooked houses, its tulips and relaxed air that you breathe through the streets of the city (except when you have to cross a sidewalk, where you have to be really careful not to get overwhelmed by cyclists!). 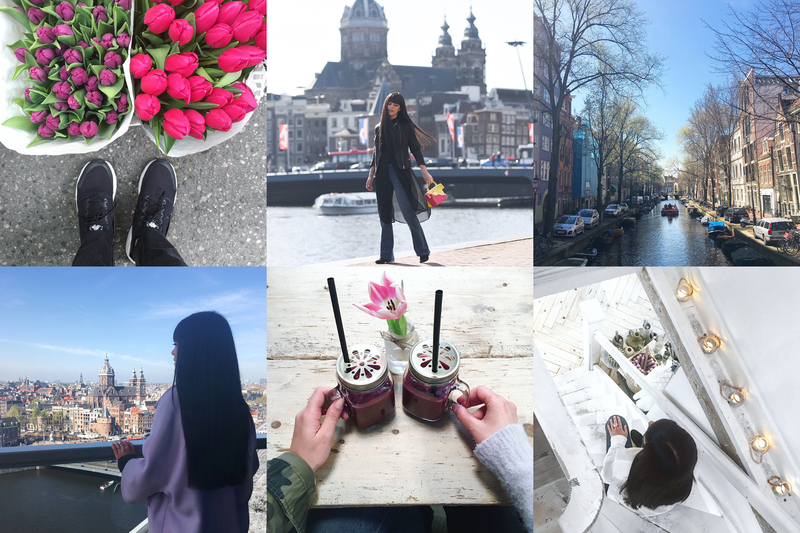 Here is my guide on what to do, where to stay and eat in Amsterdam! 1. Getting lost among the canals. Aimlessly, just let it flow the time walking and discovering unexpected and beautiful views. 2. Visit the Bloemenmarkt. The only floating flower market in the world. A picturesque and fascinating place. It is located on Singel canal and is the perfect place to buy souvenirs, tulips and bulbs of all kinds. It opens daily from 09.00 am to 17.30 pm, except Sundays at reduced time (from 11.00 am to 17.30 pm). 3. Visit Dam Square. A few minutes walk from the Central Station after walking the way of Damrak shops, you find yourself in what is the most famous square of the city. The obelisk is in memory of the fallen during the Second World War. Hard not to notice even if the square is teeming with tourists, going up and down from the Ferris wheel and buying chocolate of each type and color. 4. Discover the Jordaan. One of the most picturesque quarters of Amsterdam. A maze of narrow streets and canals filled with shops, artists and bikes. Where you can discover local cafes to eat (which I will talk about soon!). 5. Visit parks and museums. With over 60 museums to choose from, in Amsterdam you will never be bored. Not to be missed are the Anne Frank House, the Van Gogh Museum, the Rijksmuseum and the Rembrandt House (be patient to deal with the long lines). If you happen between March 20th and May 20th in the city, organize a trip to Keukenhof. A botanical park where you can see endless fields of tulips in 100 varieties. It is located 35 km away from Amsterdam and can be reached by bus 858 from Schipol Airport. Amsterdam can be easily explored on foot or by bicycle. Do not worry about the distances in the choice of the neighborhood in which to sleep. I stayed at the DoubleTree Hilton, a few steps walk from the Central Station (located in the area north of Amsterdam city center). A hotel that offers spacious and functional rooms and a breakfast that caters for all tastes, Continental and American. Going eleventh floor you can enjoy the view from above the city. Breathtaking! 1. Bagel & Beans, Waterlooplein 2. Delicious bagel baked and stuffed with the most varied ingredients, or simple to accompany a delicious salad. 2. Ree7, Reestraat 7. A charming place serving delicious food. I chose burger with fries and the smoothie of the day: blueberries, banana, apple, pear and ginger. Sensational! 3. Pluk, Reestraat 19. Other enchanting place, where I literally took pictures at every corner! great for breakfast, when the great marble counter is fully covered with cakes, donuts and muffins of all types and tastes. As I sipped my cappuccino, surprisingly a beautiful white kitten has made its appearance among the tables! My day started early, before dawn to catch the 06:35 am flight (I flew from Turin Caselle to Amsterdam Schiphol with KLM). After flying over the snow-capped Alps, in a couple of hours I arrived to Amsterdam (the airport is only twenty minutes by car from the city center). The hotel welcomed me with a freshly baked donut with chocolate chips, and immediately allowed me to go up to my room to freshen up. The first thing I did was going to the SkyLounge, the panoramic terrace on the eleventh floor. The same place a girl suggested me on Facebook, from which to enjoy the best possible view of Amsterdam. Thank you, it was really beautiful! After a walk along the canals and the lunch break at Bagels & Beans, I had an appointment with C&A for the preview of their next collection. I was greeted in an enchanted garden, populated by cacti of all kinds. Along with bloggers and journalists from 23 other European countries where the brand is present, I attended the presentation and the fashion show of fall winter 2016 collection. I was pleased to see the variety of different styles I: from the children’s collection, to the street one specifically designed for boys and girls, to the most chic collection, through the intimate and large sizes. C&A is in fact one of the few brands that can get dressed people from 0 to 99 years old! The attention for all the components of a family, from babies to grandparents, is testimony to the fact that even today the company is family-run by the descendants of Clemens & August! After the presentation and the show, it came the moment of the aperitif and then the dinner in a unique location! This is the look worn for the event: maxi shirt with transparencies, flared denim and faux leather jacket. A fairly simple outfits, the kind that I like, enlivened by a new and super colorful bag of which I will talk soon! The next day I went to explore the city, selecting the places to visit thanks to the advices of many of you who have written to me on Facebook and Instagram (@lauracomolli)! Again thank you! And thank you C&A for organizing such a wonderful trip! I’m writing from Budapest, where I’m about to stay you for a few days of holidays with my boyfriend! If you want to find out more, follow me on Snapchat @lauracomolli! 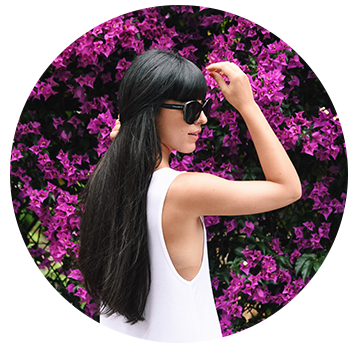 PS: Today on Swarovski Crystal Blog a new post is online, where I share 5 of my secret top destinations in Amsterdam! Check it out HERE!